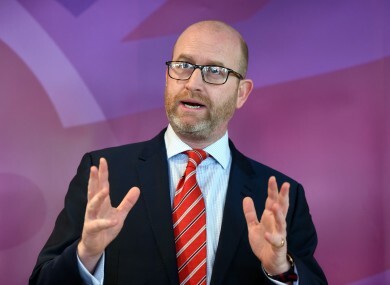 UKIP LEADER PAUL Nuttall has said he did not lose any close friends in the Hillsborough disaster despite a releasing a statement claiming he had. The embattled leader has come under fire since it emerged that a statement on UKIP’s website was completely inaccurate. Yesterday, Nuttall was challenged by English radio station Radio City News where he initially tried to deny the claim. However, he did defend himself and said he was there that day. “I have witnesses. I have people who will stand up in court. And it’s cruel, it’s nasty. And it’s making out my family are lying, which is not fair or right,” he added. A press officer for Nuttall has since offered her resignation over the controversy. Lynda Roughey has said he was “entirely responsible” for the inaccurate statement. She said in a statement: “Paul is a man of great integrity and would not say something he knew to be untrue. It’s me who has made this mistake, and one I feel absolutely terrible about. Email “UKIP leader forced to deny own statement that he lost a close friend at Hillsborough disaster”. Feedback on “UKIP leader forced to deny own statement that he lost a close friend at Hillsborough disaster”.